"Surely we have lost the plot when we start photo shopping an 8 year old’s gappy grin." "There is something amiss with the photo below." 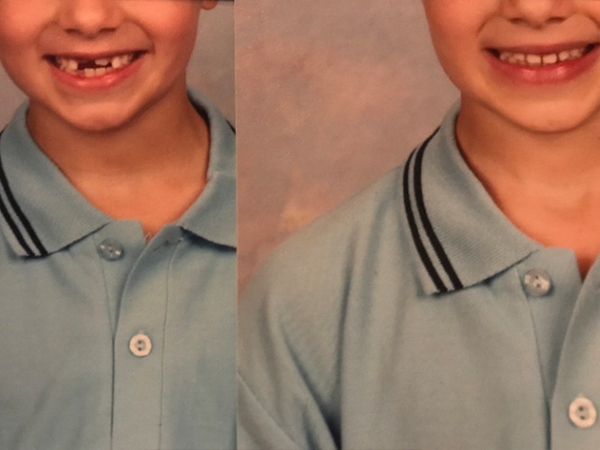 An Australian mom was shocked after her eight-year-old son's missing teeth were added back into his mouth via retouching by his school's photographer. Angela Pickett wrote in a now viral blog post about the incident. She says she was very excited to finally receive her eldest son's school photos -- but she was horrified when they arrived. The picture was taken in the first term of school and Angela told TODAY news that in the world of a busy mom-of-two, term one can seem very far off. "But then I looked at the family photo and his class photo – and there he was. Gappy McGapster (as he currently calls himself) in all his glory. "At first, I thought they’d given us last year’s photo – but then I looked closer. Nope. 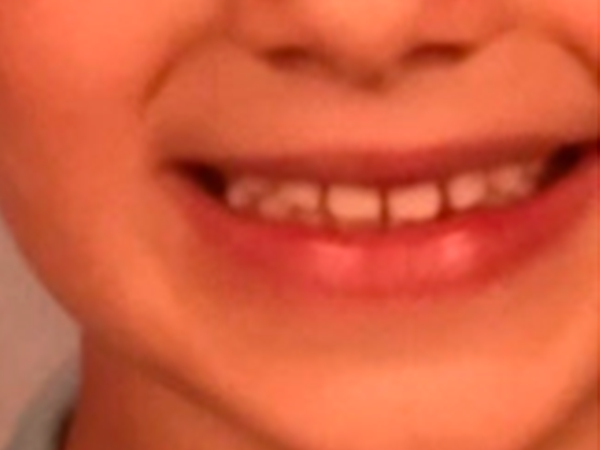 His mouth had been Photoshopped with what looked like last year’s baby teeth swapped in." She decided to write to the photographer and the school to find out what was actually going. "I shared my bafflement and quietly send a pretty measured message to the company. I went to bed giggling at some of the exchanges I’d had with friends and strangers and woke up to a very apologetic message from the company agreeing it was wrong, promising it wouldn’t happen again and attaching the original photo." Even though the matter was resolved quickly, she told TODAY she wanted to share the post because it is indicative of the type of society we live in. "I still wanted to write about it because it's a reflection on the world we live in — where photoshopping is no longer just done by magazines, but any of us can touch up our images." "It's all too easy to feel bad scrolling through Instagram looking at photos of beautiful people until you realise that so many are Photoshopped or carefully staged and curated. It's not real and we need to set an example for our kids and show them we love them for who they are — gaps, pimples and all." "Surely we have lost the plot when we start Photoshopping an eight-year-old’s gappy grin." Angela says that she is glad she addressed the issue because it sent a very clear message to their her son. "Had I not said anything, who is to say it wouldn’t become the norm? It was also important for our son to know we love him as he looks now. Accepting the photo-shopped photo says to him that we think there is something wrong with how he looks."